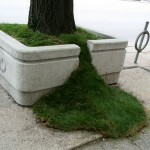 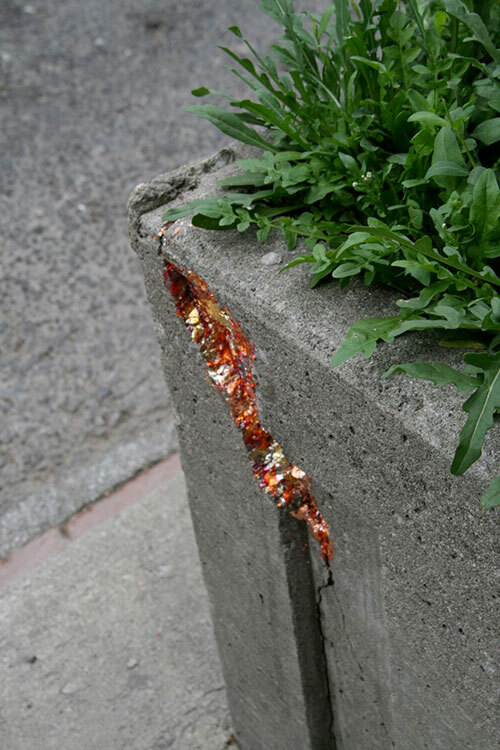 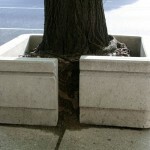 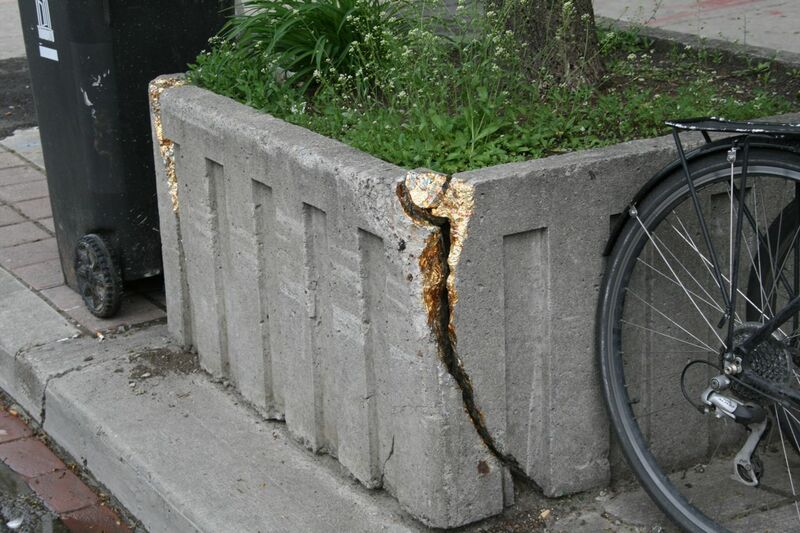 Grass Spills, Gilded Fissures, and "FRAGILE - Handle with Care" planters by Sean Martindale. 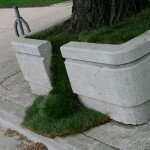 My concept for these Grass Spills was the original one which grew into the larger Outside the Planter Boxes project (please see ABOUT section for more information). 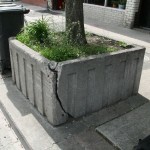 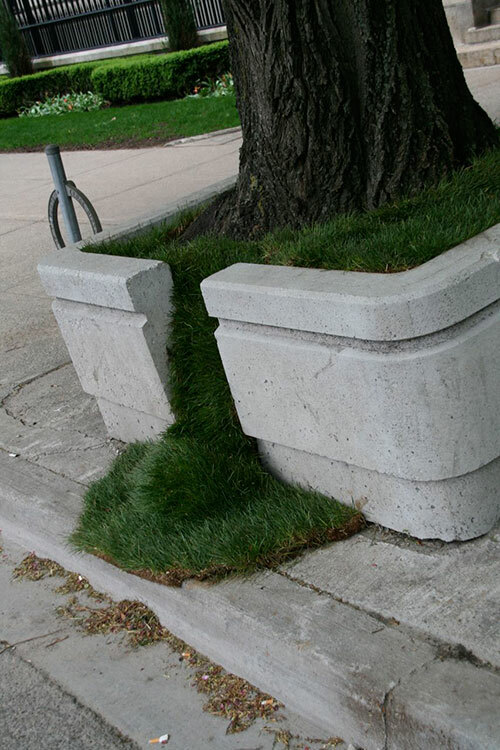 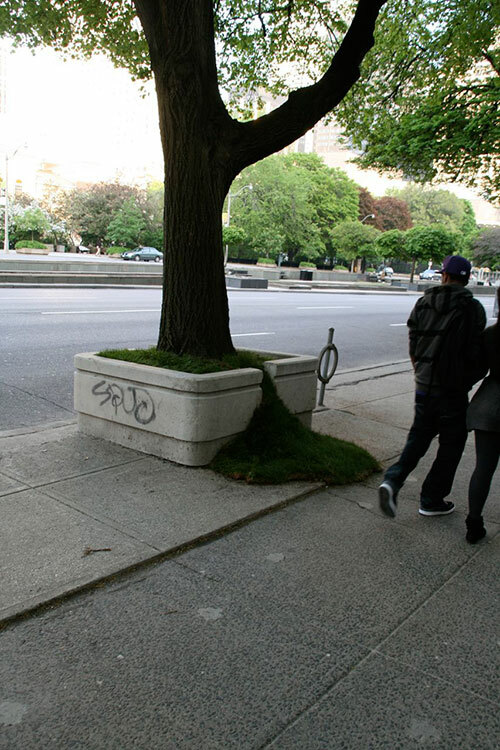 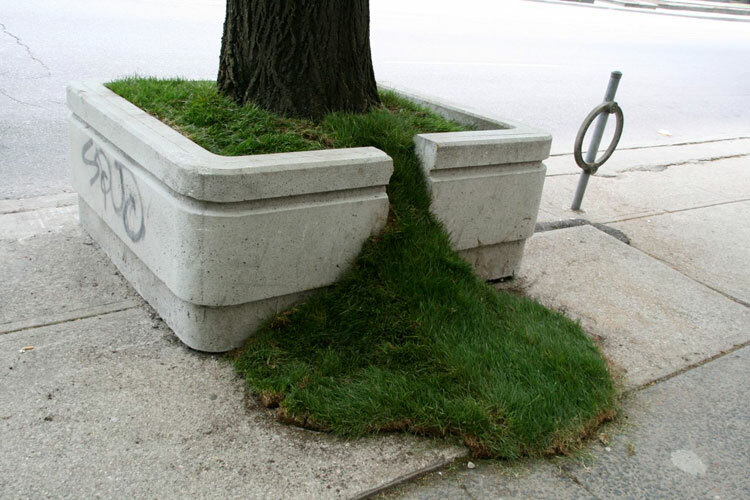 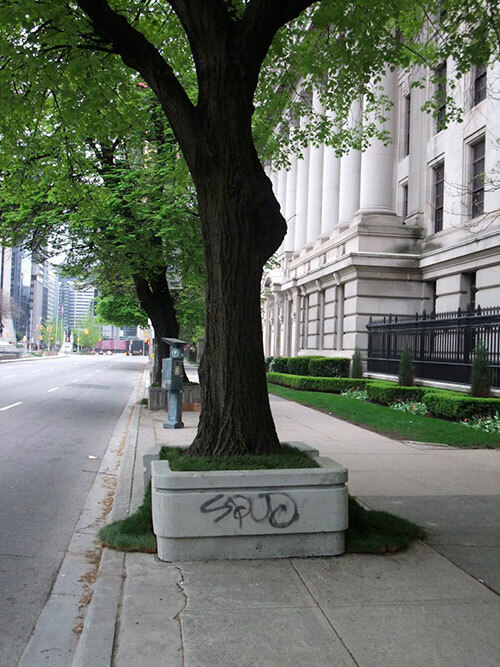 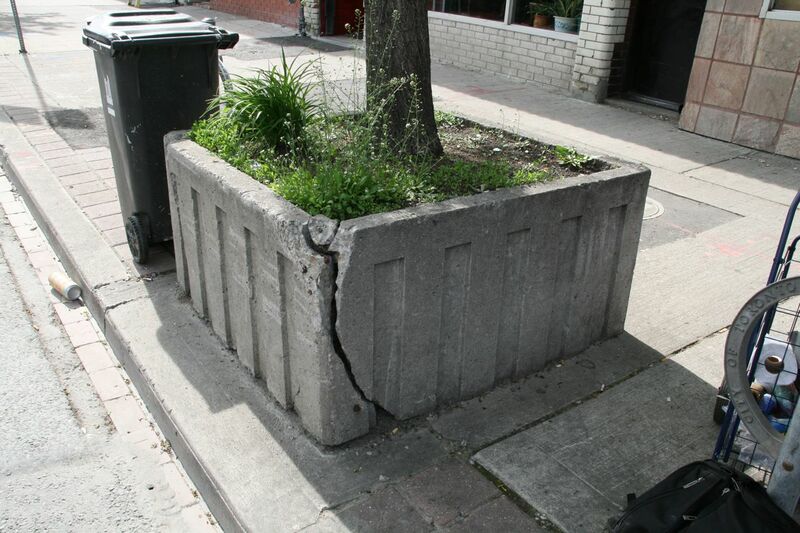 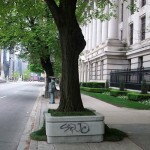 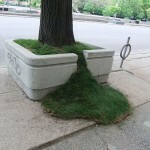 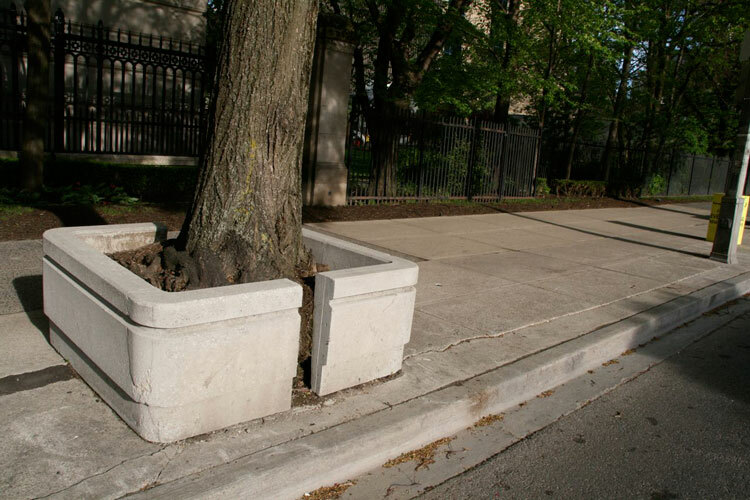 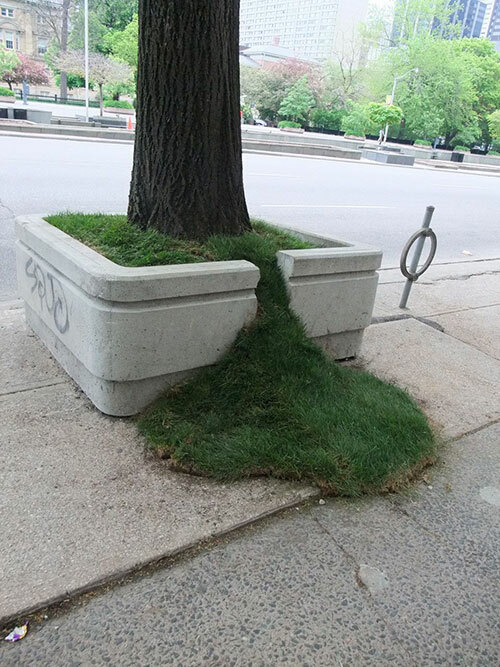 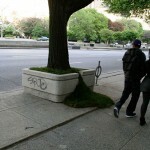 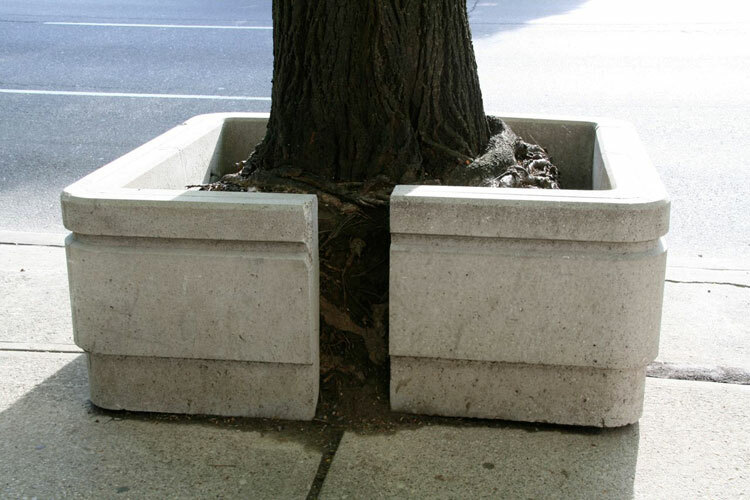 In total, four spilling planters were created on the project launch day along the West side of University Avenue, just North of Queen Street West. 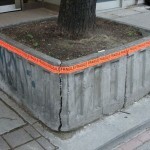 Thank you again to James David Morgan and Holy Blue for their assistance in the early morning when I installed these interventions. 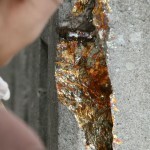 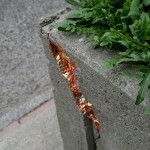 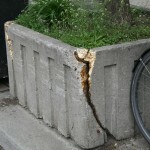 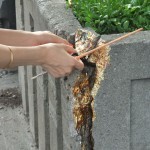 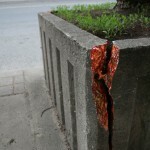 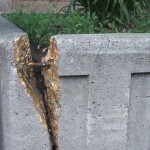 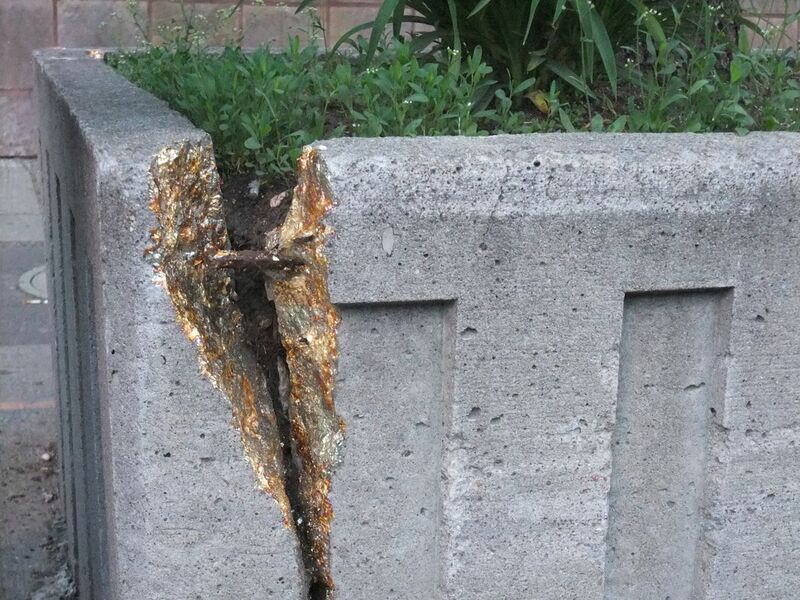 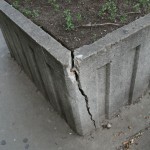 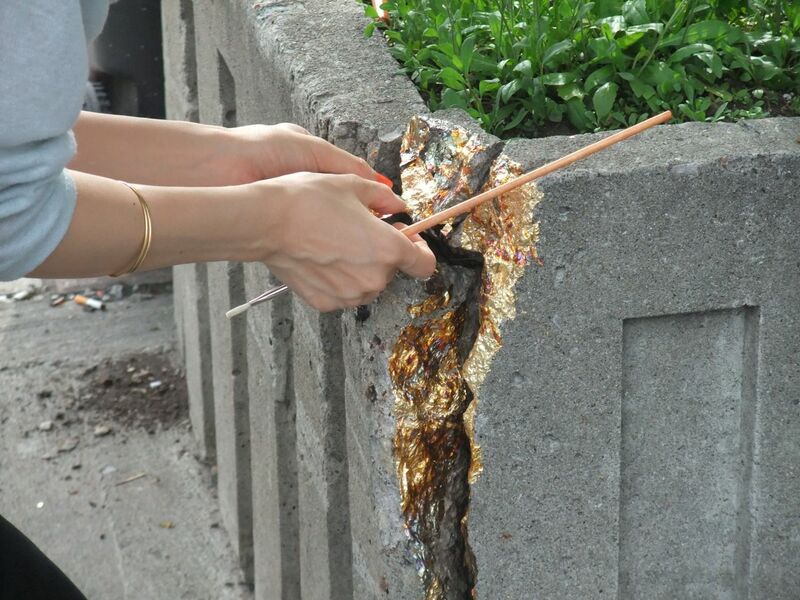 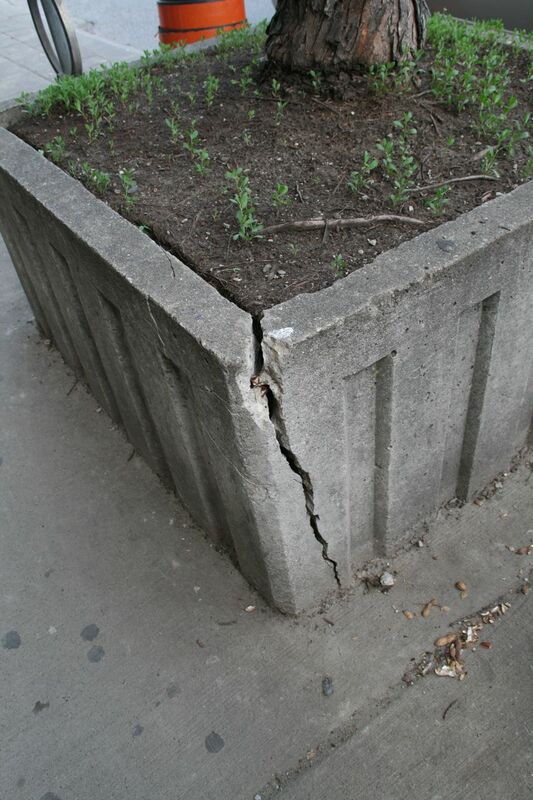 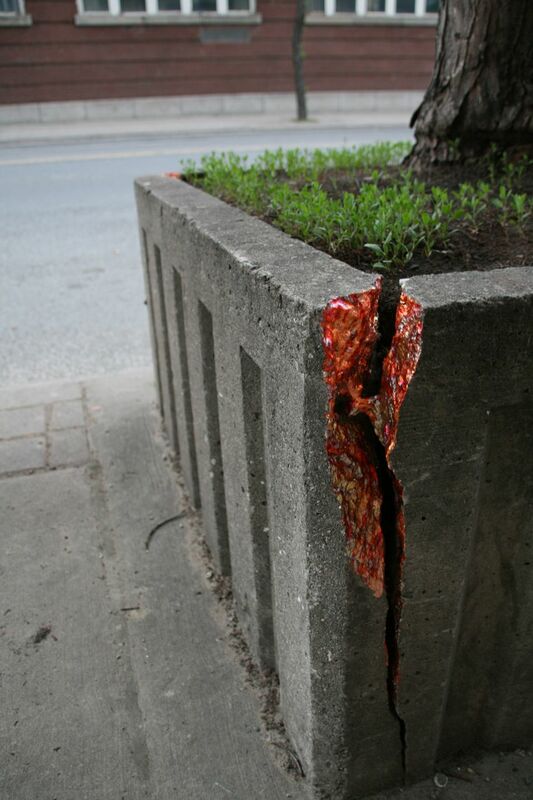 The Gilded Fissures were created by applying variegated gold leaf (blue and red varieties) to the interior faces of large cracks found in several planters along Bloor Street West between Dufferin and Lansdowne. 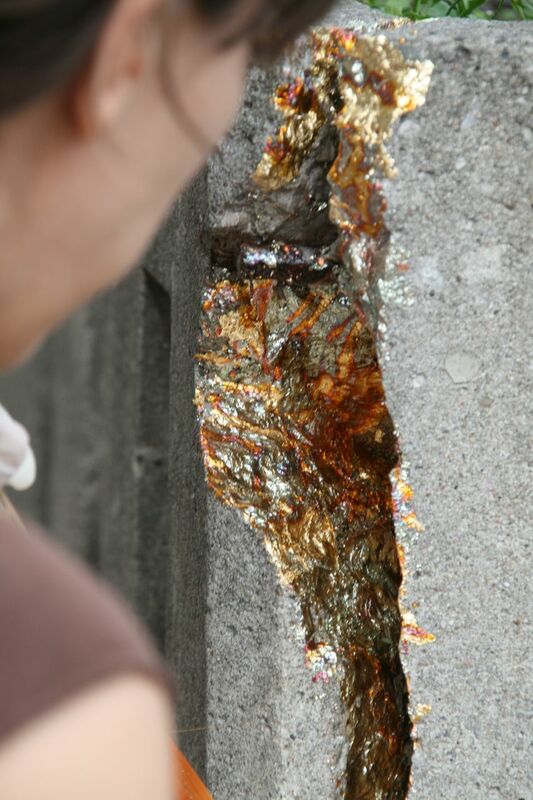 Thank you to Laura Nanni, Alison Snowball and Skanda Xiaoting for their assistance applying the gold leaf. 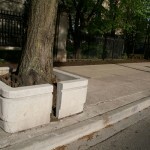 Thank you also to Henry Annoual who ran into us on the day and jumped in to help as well. 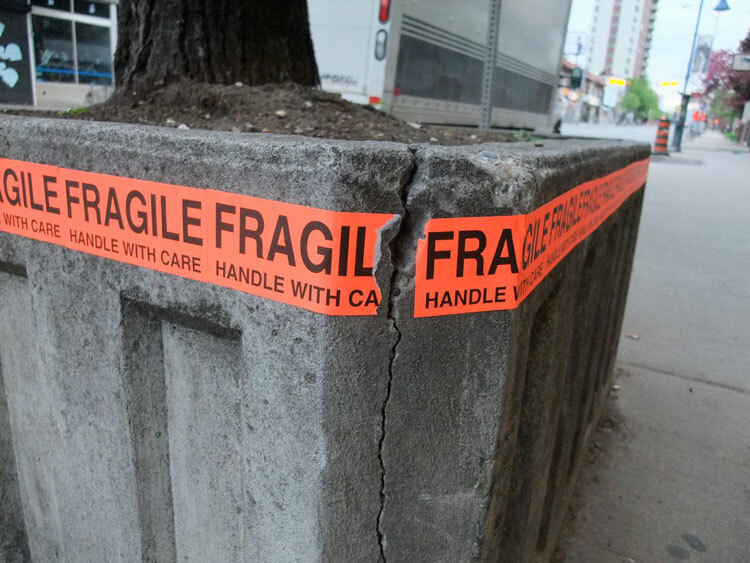 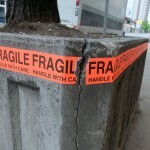 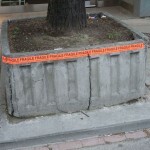 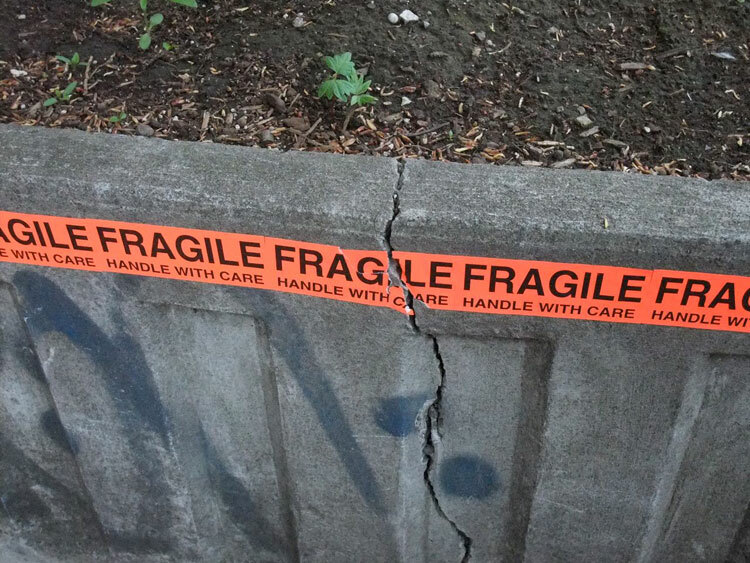 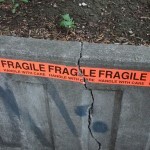 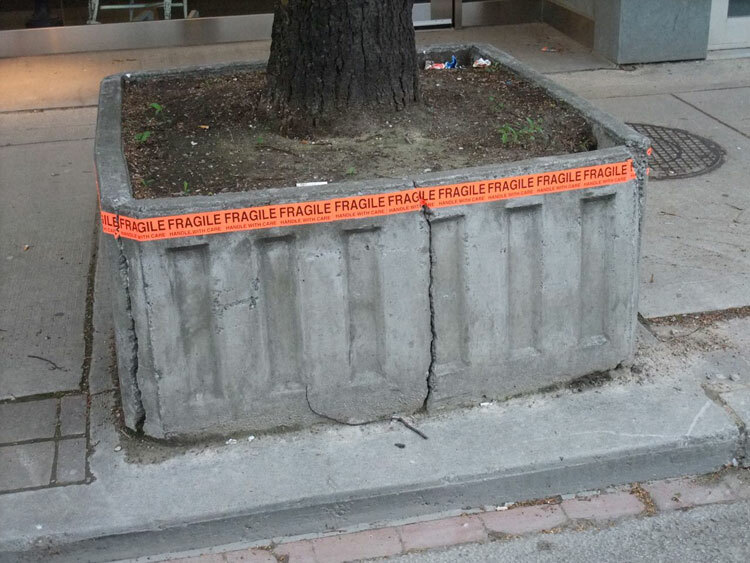 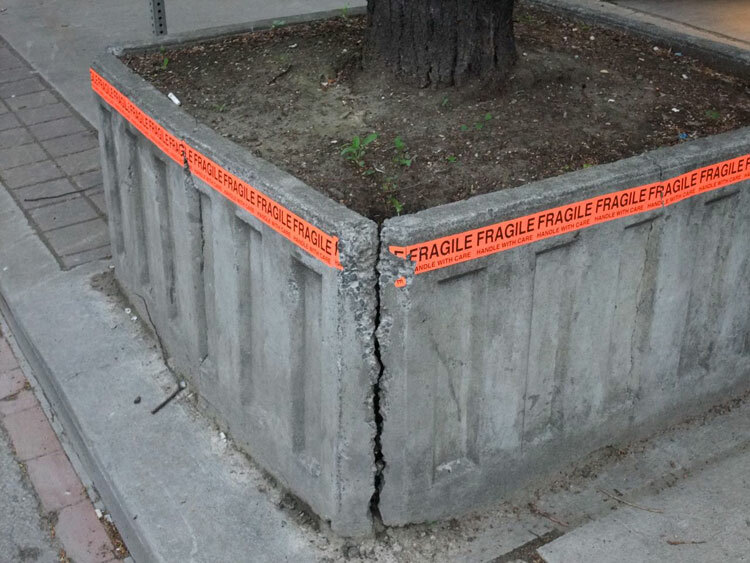 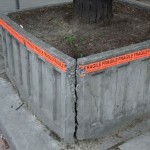 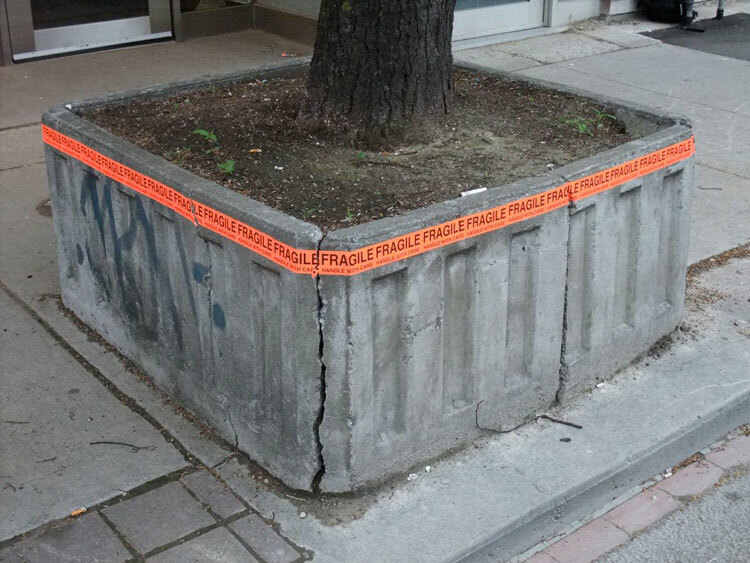 Bright neon orange "FRAGILE - Handle with Care" shipping labels were applied to an already shattered planter on the same stretch of Bloor Street West for this third intervention.